ANALYSIS: While China launches a new icebreaker to support its ambitious aims in the Arctic, U.S. plans for a new ship were criticized as incomplete and unrealistic by a government watchdog agency. News from Shanghai about the completion of a new Chinese icebreaker arrived at about the same time as a report questioning the process under which the U.S. plans to build its first heavy icebreaker in more than 40 years. The Chinese ship is expected to enter service next summer, at about the time the U.S. Navy and Coast Guard hope to award a design and construction contract for the first of three U.S. icebreakers. But the General Accounting Office, the top federal watchdog agency, alleges that the work so far on design, technology, cost and scheduling has been inadequate, creating risks that the project will cost more and take longer than expected. The first ship is due in 2023-2024, followed by two more in 2025 and 2026. The government puts the lifetime cost at $9.8 billion, but the auditors gave several reasons why that number might be low. The GAO analysis, which charges that the agency failed to make a solid “business case” for the project in March, expands upon a report issued in mid-summer which warned that the new icebreaker may not be finished before the existing heavy icebreaker Polar Star goes to the scrapyard. The Coast Guard hopes to extend the life of the 42-year-old Polar Star with a refurbishment program, but the GAO said if it is not seaworthy after 2020, there could be three years or more in which the U.S. does not have a working heavy icebreaker. The $75 million Polar Star rehab program is questionable because it assumes spare parts will be available from the decommissioned Polar Sea and there is a finite number, GAO concluded. Meanwhile, the Coast Guard allocated 2.5 years to build a replacement icebreaker, even though GAO found that shipbuilders believe that 3.5 years will be needed. And the government decided not to build delays into the schedule, although it often requires months or years to sort out problems on complicated new ships. 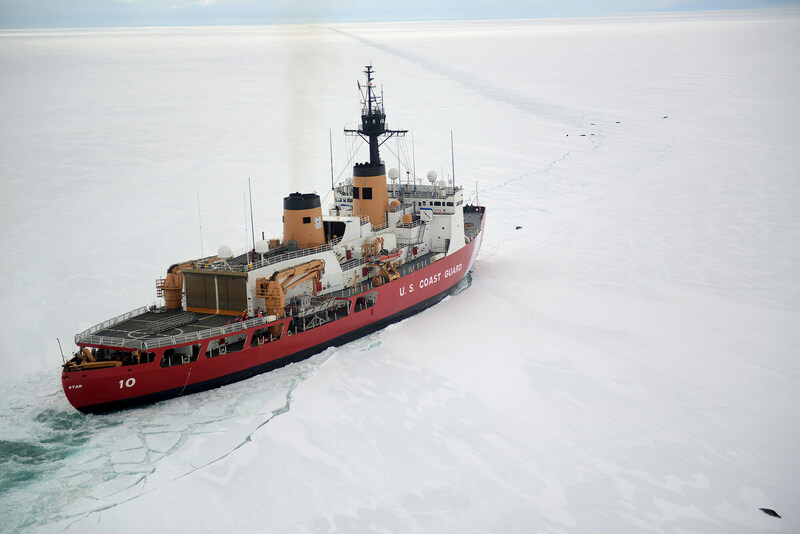 “The Coast Guard’s planned delivery dates were not informed by a realistic assessment of shipbuilding activities, but rather driven by the potential gap in icebreaking capabilities once the Coast Guard’s only operating heavy polar icebreaker — the Polar Star — reaches the end of its service life,” GAO said. The Sept. 4 GAO report said the Coast Guard established the baselines for the design before conducting a preliminary design review or determining if the technology for the ship — both hardware and software — is exactly what will be needed in the Arctic and Antarctic. A detailed design and construction contract is scheduled to be awarded next June, but the advance planning work has been neglected, the GAO said. The Coast Guard “established baselines without clear knowledge of the ship design because it does not plan to assess design maturity” until after signing the design contract next June. “In addition, without a technology readiness assessment, the Coast Guard does not have full insight into whether the technologies are mature, potentially underrepresenting technical risk and increasing design risk,” the GAO wrote. For instance, the agency said the Coast Guard is planning for a ship that can break 6 feet of ice at a steady speed of 3 knots, instead of one that can break feet of 8 feet ice, the original target, for reasons having to do with cost and schedule. The big takeaway is the recommendation to better address risks before committing billions to an icebreaker program. The Department of Homeland Security responded to the audit by saying it will try to get up to speed over the next year, increasing its focus on cost and capability.